yellow peppers | Crappy Kitchen - Good Dinners! 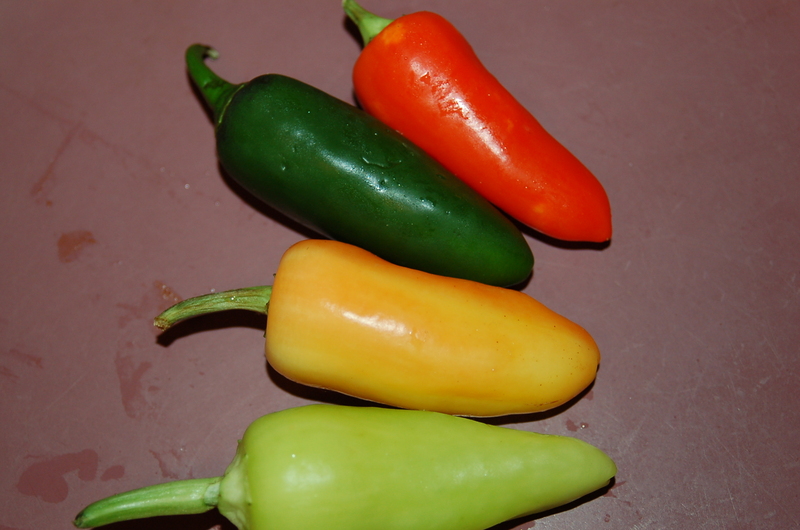 How to Char Any Pepper 101 – Really Handy Pantry Item! Charring peppers is a cinch, and they are so great to have on hand. 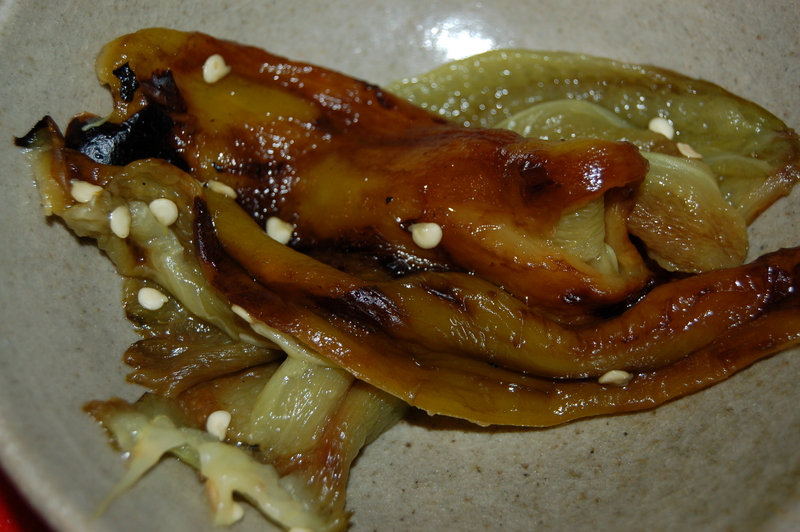 They are quick and easy to prepare and can be cooked right when a recipe calls for them. Also, make a whole ton when you are so overrun with peppers when they are in season and you don’t want a single one to go to waste. 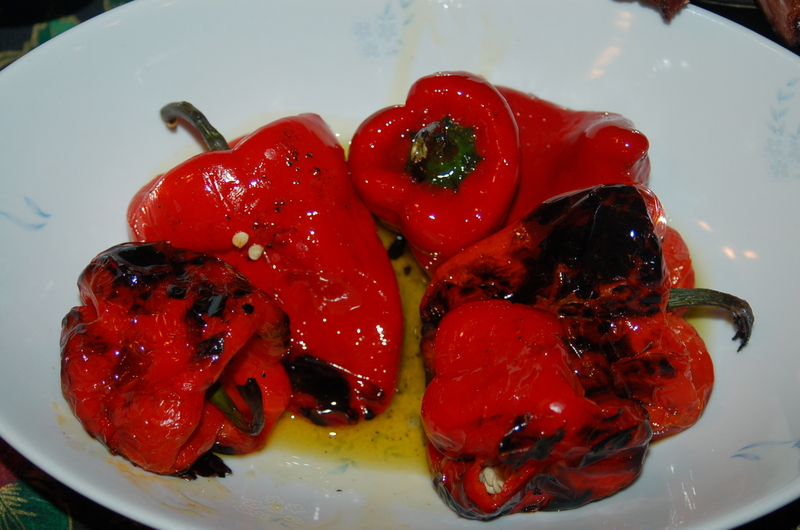 I roast peppers and keep them in a jar in the fridge with extra-virgin olive oil and they last for weeks. You can get even more adventurous and add things to the oil like fresh herbs to infuse more flavor, but they are so good on their own too. You can do this to jalapeno peppers too! The oil that the peppers marinate in also takes on a lovely flavor and can be liberally used whether you are using the peppers in a sandwich, a salad or a stew. Sometimes I even drizzle the oil by itself on a piece of toast for a snack: really delicious. Once you get the hang of charring peppers you will find yourself looking for excuses to use them. The process intensifies the sweetness or heat, depending on the variety, and the smoky flavor is right up front. My friend Tom does the same thing but he loves to use his grill, hail, rain or shine. His pepper choices are on the scary hot side and I’m sure at this point he has burned all of his taste buds! 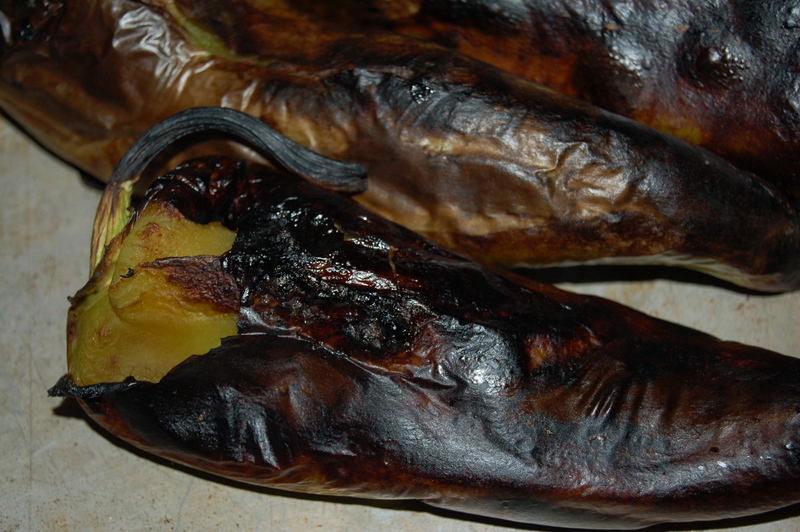 So, no matter what kind you like, I suggest that you start burning peppers and see where it leads you. Place your oven rack about 4 to 6 inches away from the broiler and turn broiler to high. 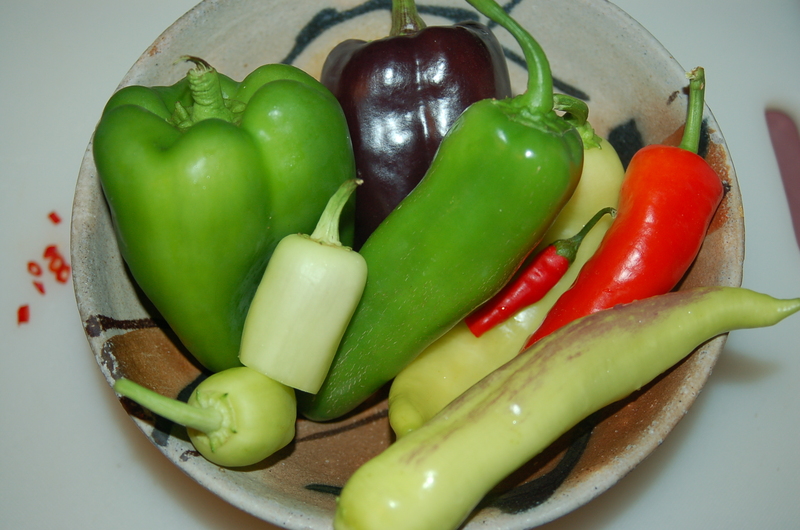 1 – Wash and dry whatever peppers you choose to use and place on a baking sheet. luscious peppers, and lots of ’em! 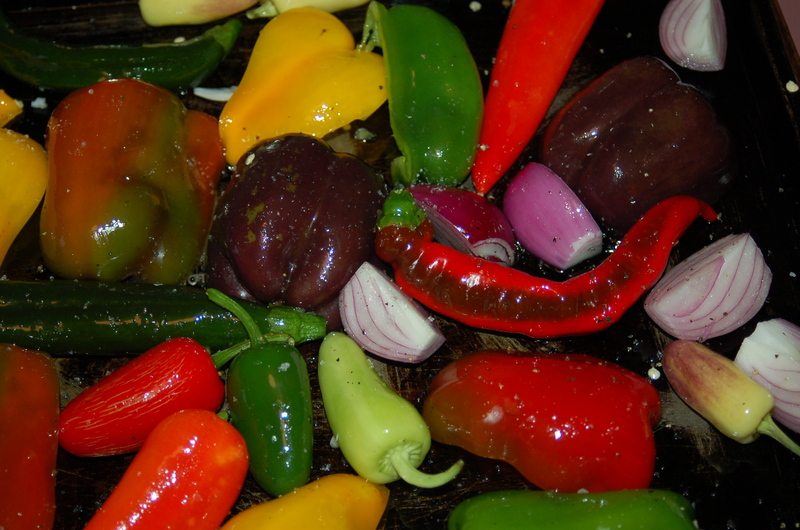 2 – Place the tray under the grill and broil peppers on all sides until charred (blackened). You will eventually get use to the timing, but it is important to check every few minutes. 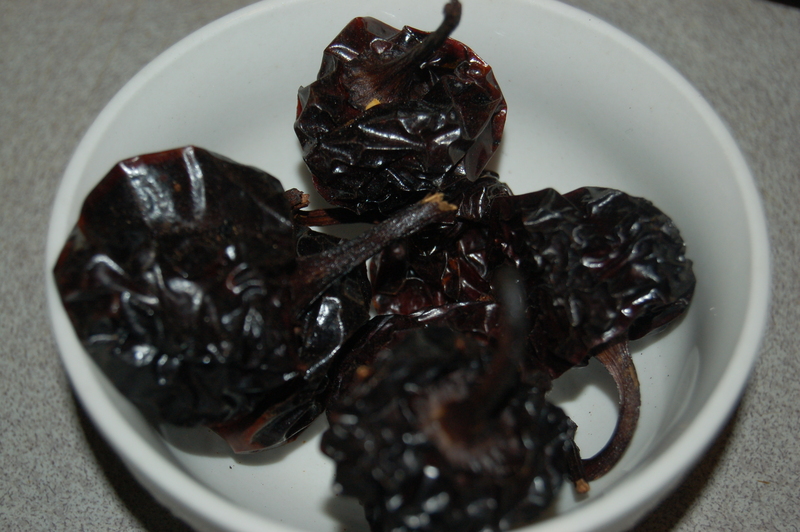 4 – When they have cooled (but still warm – about 15 minutes or so, depending on how many peppers in the bag), remove the charred skin by peeling off with your fingers. Then remove the seeds, stem and veins. DO NOT do this by rinsing under the tap as this will wash away lots of lovely oily flavor. 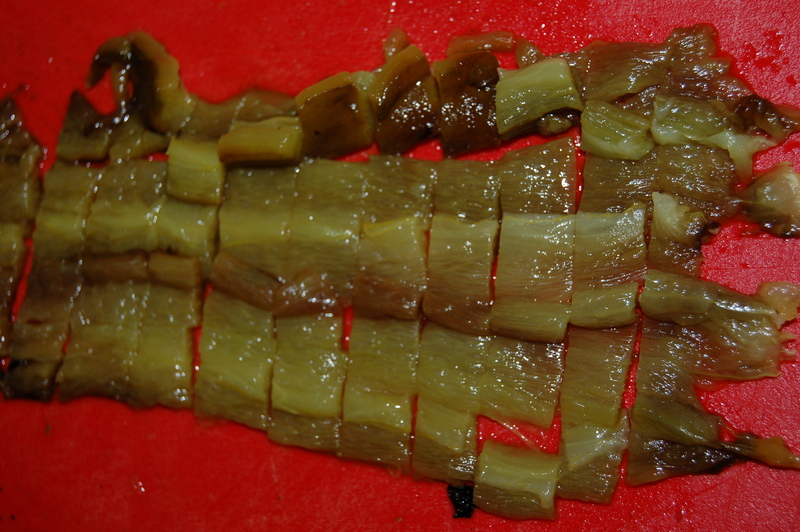 6 – After that you can cut into strips, dice them or leave whole, depending on what the recipe calls for. Store in a glass jar with some good quality olive oil and store in the fridge for several weeks. They are great in rice, stir-fry, salads, Quiche, stews, pizza topping, pasta dishes and sandwiches.